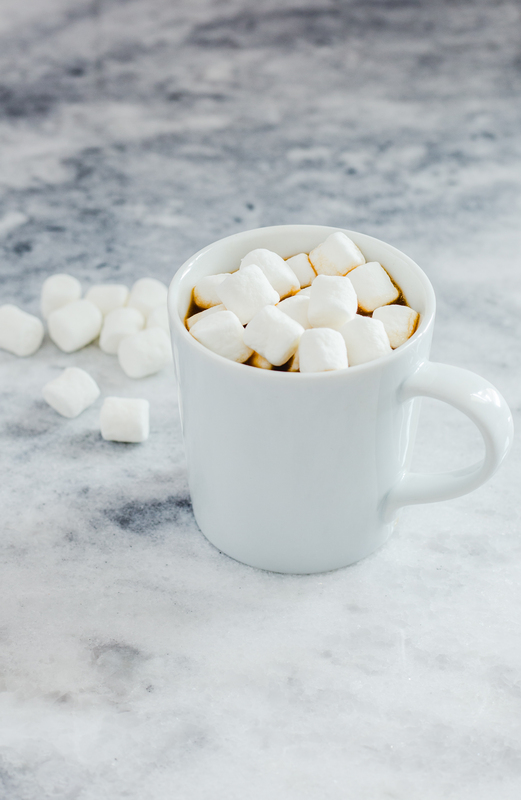 Try these 5 snow day activities with marshmallows to keep your kids happy and entertained on any cold, snowy winter day! 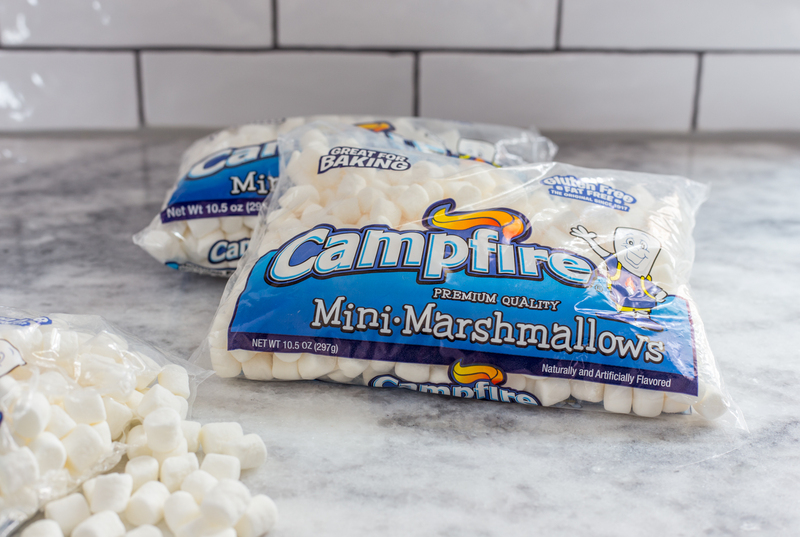 This post is sponsored on behalf of Campfire® Marshmallows. All opinions are as always, my own. It’s been pretty stinking cold. So far, our kids have had a number of snow days and delays due to weather. In fact, they have yet to have a full week of school since before Christmas break. My kids are getting older and much more capable of keeping themselves entertained on a day off, but I like to help them out with a few ideas from time to time. One thing that I always have on hand is a bag or two of marshmallows. It turns out that a simple bag of marshmallows can provide hours of entertainment on a cold, snowy day. During one of our latest snow days, A & C helped me make this cute new video featuring our favorite snow day activities using marshmallows! 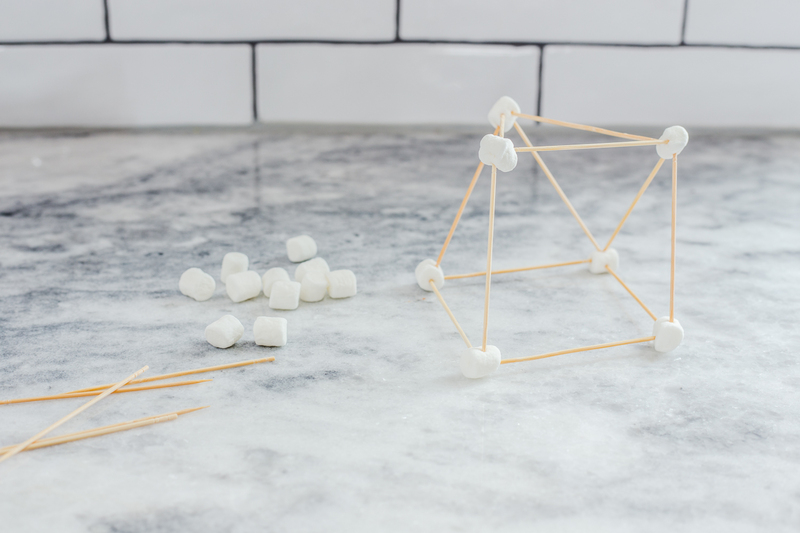 Let your kids explore all of the structures they can build using a handful of marshmallows and some toothpicks! Try a variety of toothpick lengths to see what they can come up with. 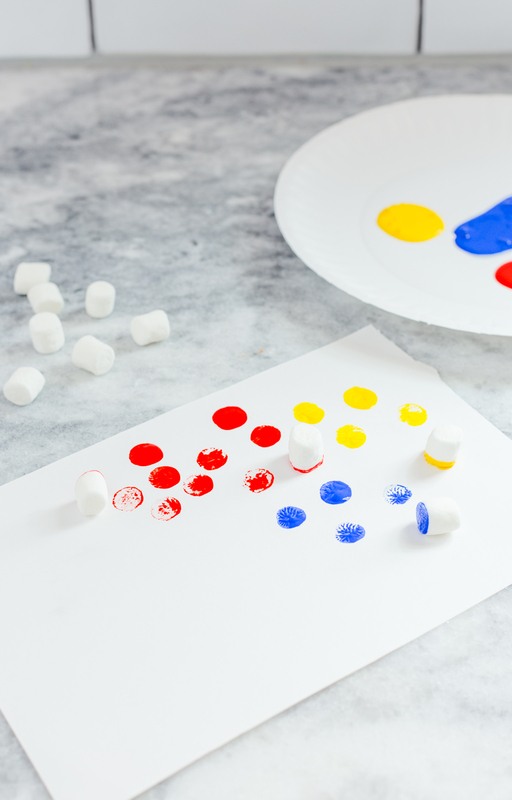 Even big kids (aka – me) can have fun painting with marshmallows! I used acrylic paint, but you can use tempera or even experiment with watercolor. The nerdy art teacher in me took advantage of this activity to discuss pointillism, but obviously, that’s not required. 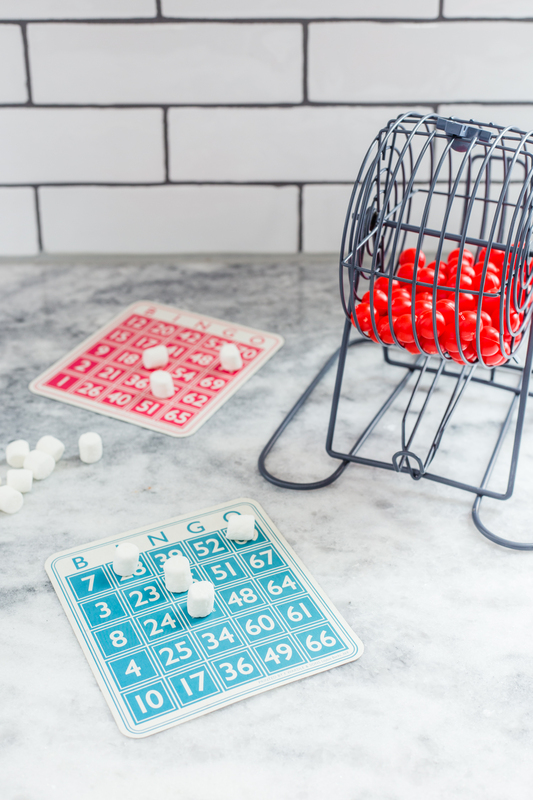 Replace standard bingo markers with mini marshmallows! 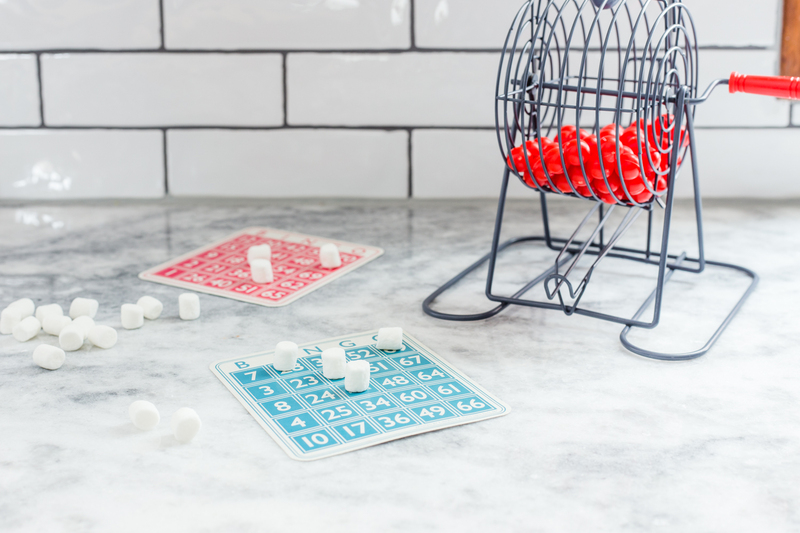 Check out these adorable Printable New Year’s Eve Bingo Cards from Campfire® to really embrace the wintery fun! This is shockingly fun! 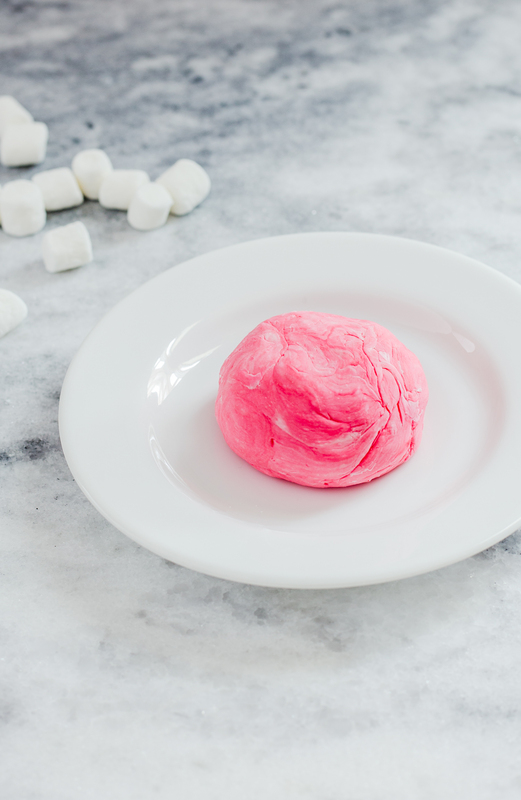 Marshmallow dough is quick to put together (see full instructions below) and fun to play with. It doesn’t last a long time and tends to harden up when it’s abandoned for a while (it’s about a 30 minute activity), but the kids had a blast playing with this marshmallow dough. I would be foolish not to include drinking good old fashioned hot chocolate in our list of activities! 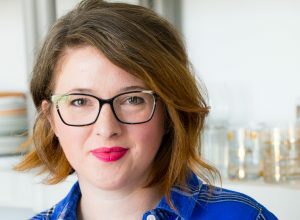 Need some recipes?? Try my stovetop cinnamon hot chocolate for a special treat. What are your favorite snow day activities? Place marshmallows, corn starch, and coconut oil in a microwave safe boil. Microwave on high for 30-60 seconds until marshmallows are puffed and coconut oil is melted. Add in food coloring and stir. Sprinkle with more corn starch if needed to prevent sticking. Knead dough until stretchy and elastic. Enjoy! Dough is not long lasting and will harden if left alone. These ideas are so fun and creative! I can’t wait to try them with my kids! Fun ideas! I know my kids will love the dot painting.